I am really on a SIMPLIFY kick lately, can you tell? I guess it comes from almost having a nervous meltdown in life. On one side of the scale I had all the meaningful things I WANTED to do, and on the other side I had a pile of things that I felt like I HAD to do.The problem was, the ‘HAD TO’ side of the scale was weighed down to the ground, leaving barely any time for the most important things in my life. The more I dwelt on the endless list of things that were ‘less important’ the more miserable, depressed, and stressed I became. I finally decided that ENOUGH was ENOUGH! My kids are growing up WAY to fast and I’m not getting any younger. I talked a lot in this post about how we have been simplifying our home so that we spend less time cleaning and have more time with our kids. This made such a difference, I decided to apply the same to Christmas. So, if you’re tired of being weighed down by all the WEIGHT of the holidays, it’s time to simplify your Christmas! Here are some ‘simple’ ways to do just that! Re-evaluate Your Traditions. Traditions are very important and can help create beautiful memories. I LOVE traditions! Keep in mind, though, that traditions can also become expectations and burdens. You know what I’m talking about. It’s the traditions that take a lot of time and add to 1 or more family members stress level (usually mom) but are completely unnecessary for the core goal. I won’t name all the examples going on in my head right now, because it is different for everyone. I might think Elf on the Shelf is ridiculous and a waste of time (I know, I’m a TOTAL rebel!) 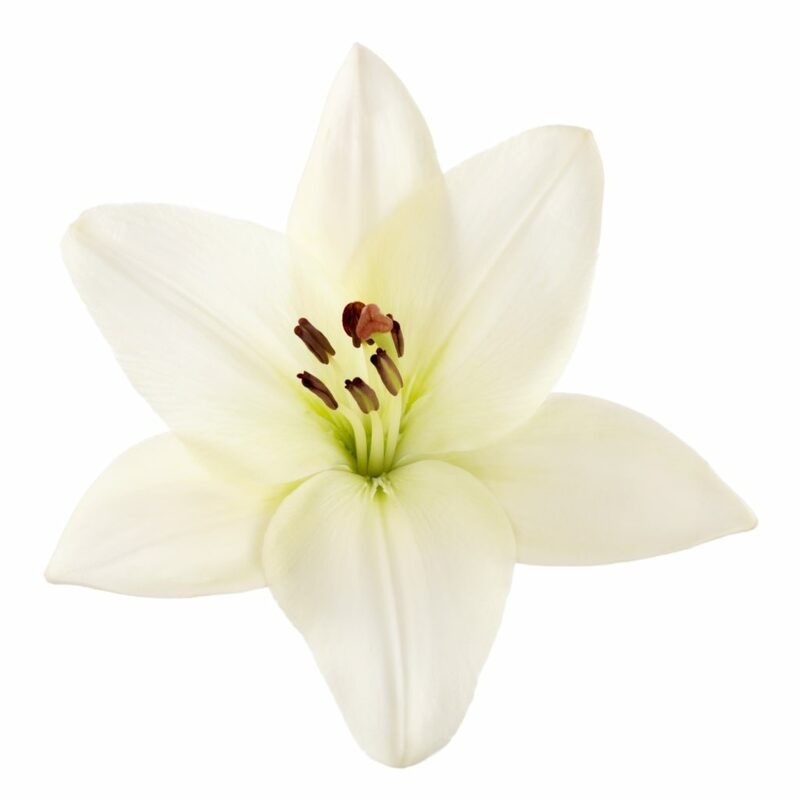 but this tradition might be really important for another family. So basically, traditions are also like simplifying your home. Get rid of the excess that distracts and keep the most important that draws your family closer to each other and to the Savior. Quantity vs. Quality. 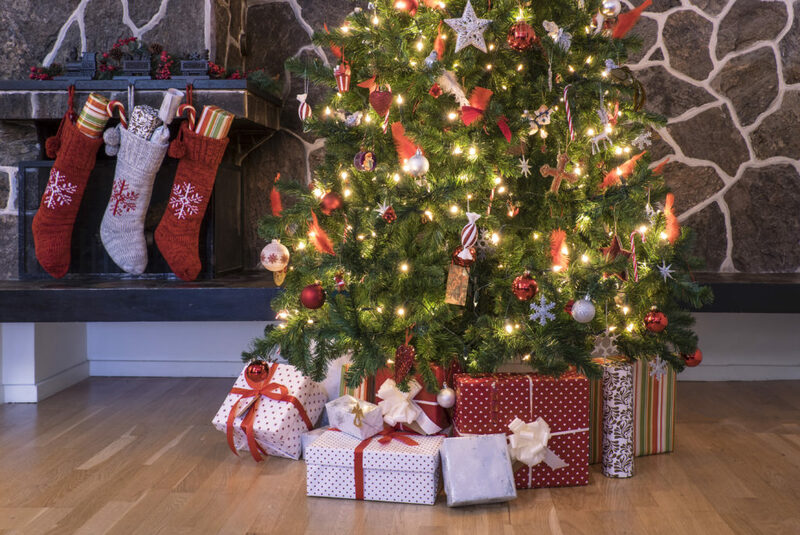 For some reason there is this idea that in order for Christmas morning to be successful, there needs to be a tree overflowing with gifts, stockings overflowing with stuffers, and on and on. We’re so afraid of disappointing our family on Christmas morning, we tend to over compensate and fill our Christmas morning with QUANTITY instead of QUALITY. I’m speaking here from personal experience. Every year I firmly state that this year we will keep it simple only to find that I once again overdid it and my kids have toys they don’t need, and our budget is overdrawn. My husband’s sister buys one thing for each of her kids each year, but makes sure it is really nice and something that they really want. The result is happy kids and less stress and more time for each other. My dad said that growing up his parents would designate an area for each kid in the front room and place all of their gifts, UNWRAPPED, in a stack for them to see Christmas morning. He loved not having to wait for everyone to unwrap gifts and dive into everything. To some, this idea may seem absolutely insane! I mean, gifts that are not wrapped?? That goes against the Christmas rulebook, right? For someone like me who gets to do all the wrapping every Christmas, the idea is very tempting!. It all comes down to what is most important to you! Resist the urge for unnecessary layering! Spread the JOY! Simplify your Christmas, do less, and find MORE time with family, More joy, and MORE heartfelt memories. Then, spread the joy! As others see the added joy in your heart and home, they will want the same for themselves! Let’s take back Christmas…for the simple beautiful day it already is! 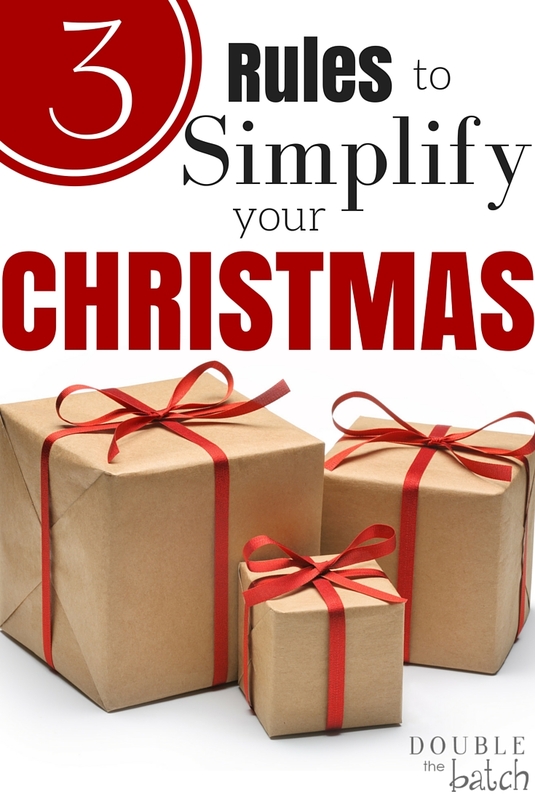 Please share any ways you have found to simplify your Christmas! We would LOVE to hear them! Also, for even more inspiration for simplifying the holidays, my sister Trish recently wrote this wonderful post: 5 Ways to do LESS and get MORE out of the Holidays! Also, How to Create a Magical Christmas on a Small Budget is another favorite post! Happy Holidays! **Reminder! If you are doing holiday shopping, don’t forget to activate your cash back from your Ebates account. This is the time of year when I get the most back (if I actually remember to activate it!) You can install this button on your browser and it will remind you every time you go to an eligible site for cash back! Zulily is also a great site to get super cheap deals on great quality gifts for your family!